The Hamilton Harbor saw gusty and shifty wind condition for the start of the Wednesday Night Sailing Series. 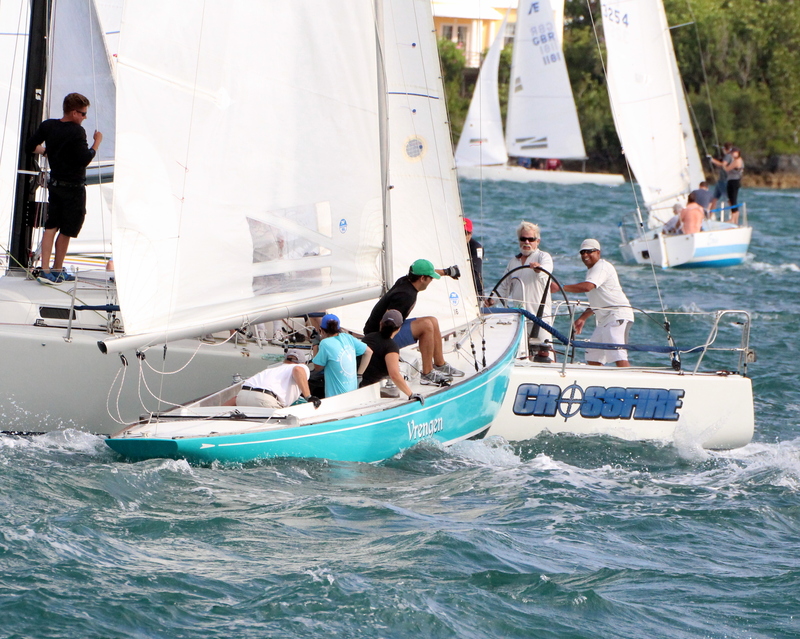 Prior to the start there was a crash between Crossfire and Vrengen, with Vrengen on the starboard tack and Crossfire on port, the two boats collided with Crossfire having to pull out of the race. That was not the only drama prior to the start as Passion came close to losing a crew member overboard when she was caught in the jib whilst tacking toward the startline.